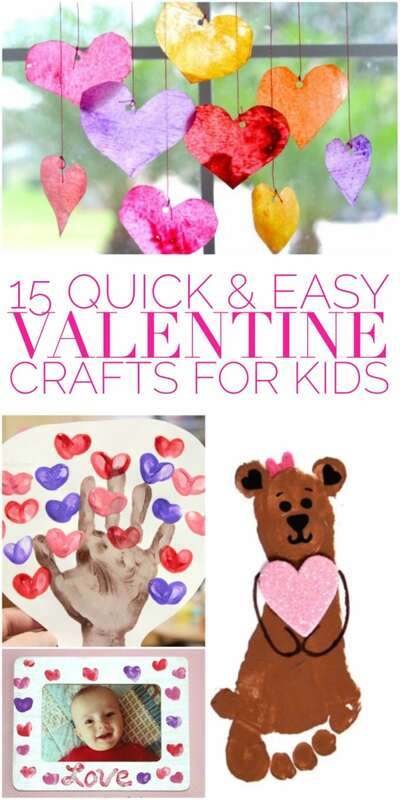 With Valentine’s Day just around the corner (or at least it seems that way)… you may be looking for some quick and easy valentine crafts for kids. Well, you’re in luck. 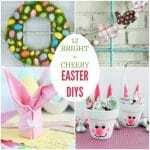 Most of the crafts in this post can be done in 15 minutes or less, and they’re oh-so-cute! 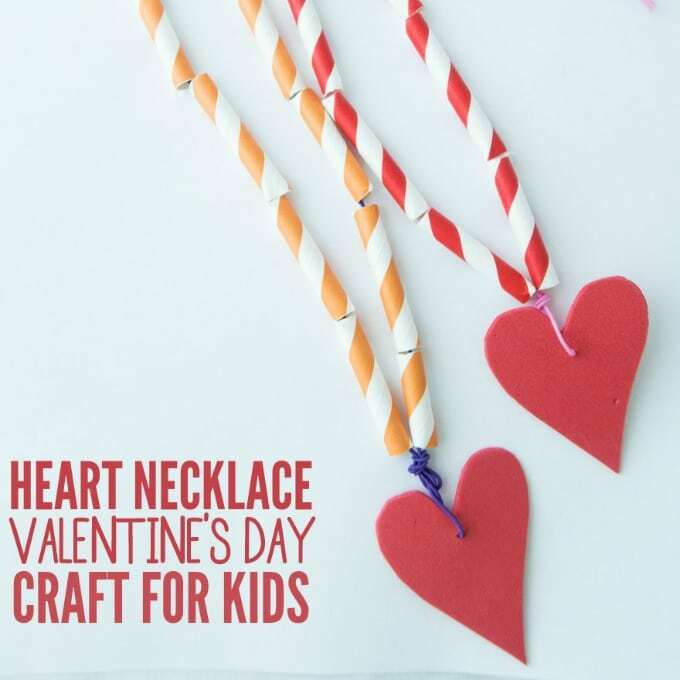 Start with a cute heart necklace for Valentine’s Day! 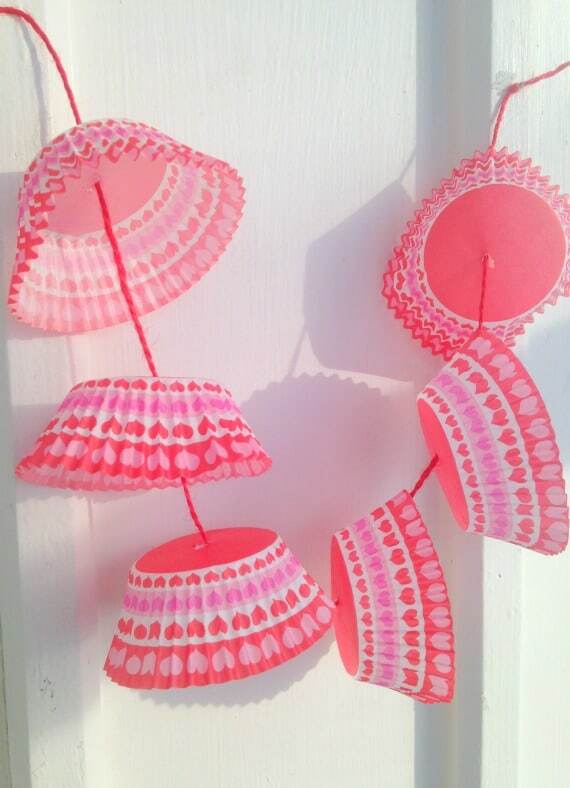 Kids will love making these necklaces for their friends and family. I love you to pieces! 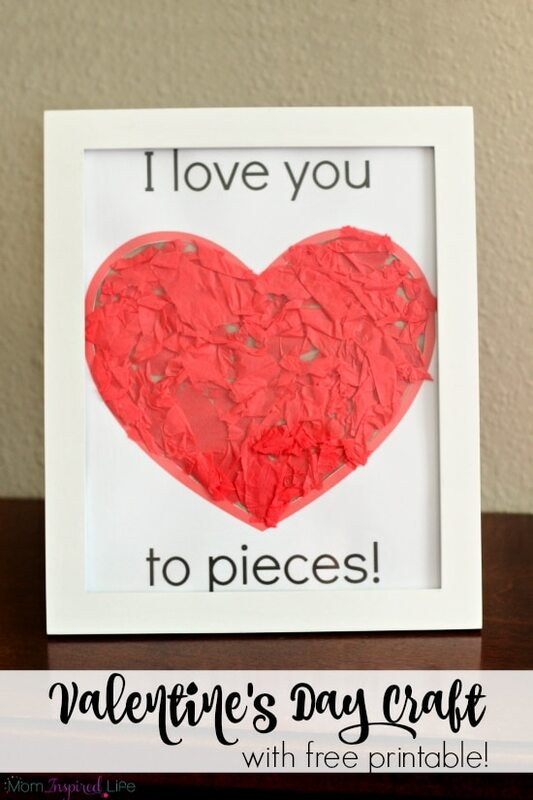 This framed artwork idea comes with a free printable for easy crafting. 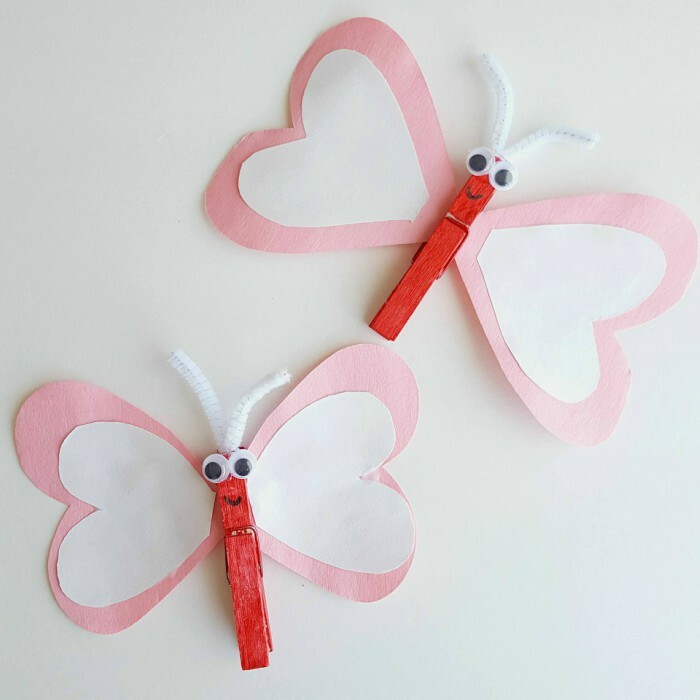 We fell in love with these heart butterflies after we made them a few weeks ago. They’re so cute! 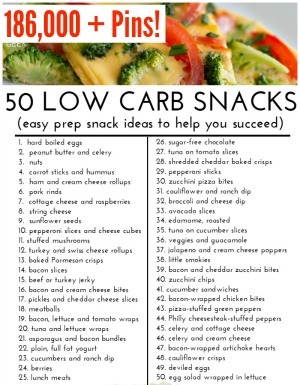 I recommend putting magnets on the back so they can hang on your fridge. 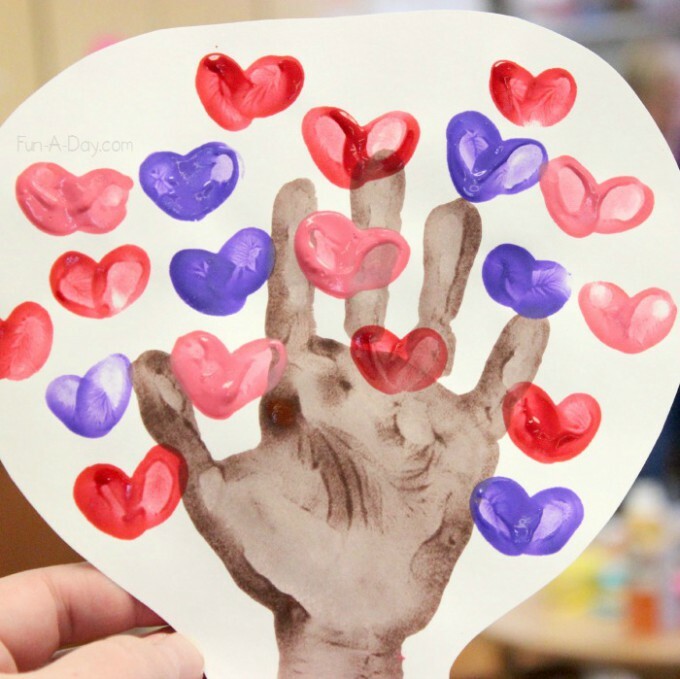 This handprint heart tree will make a precious keepsake. 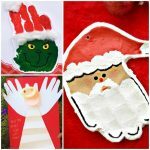 Have your kids make their own trees or let each person in the family contribute their own fingerprints. Lovely! 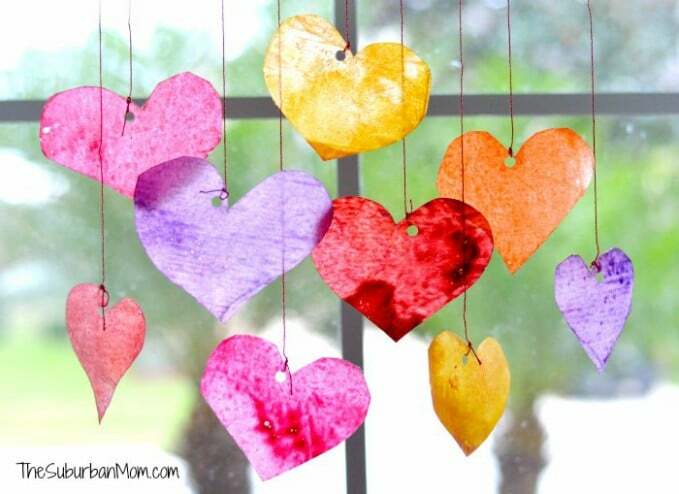 Heart-shaped suncatchers from will look dazzling in your window this February. 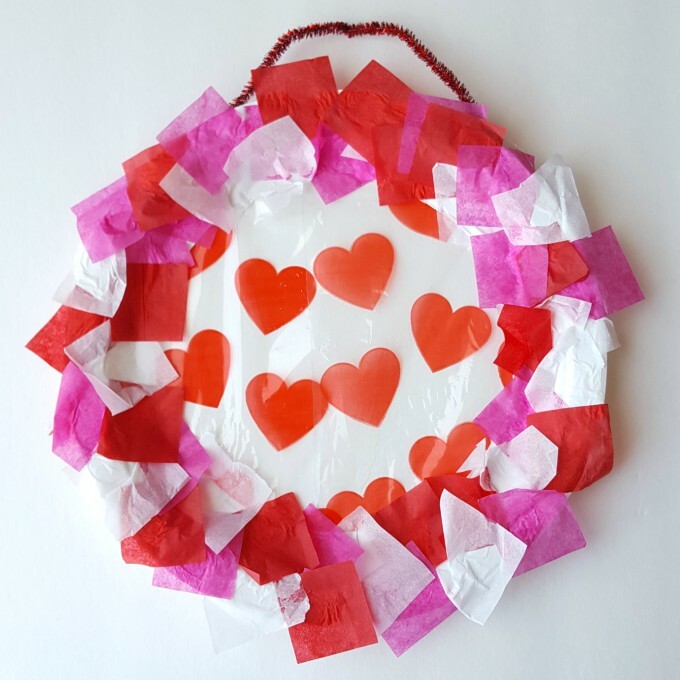 Get in some fine motor practice with this easy peasy Valentine wreath made from paper plates and tissue paper squares. 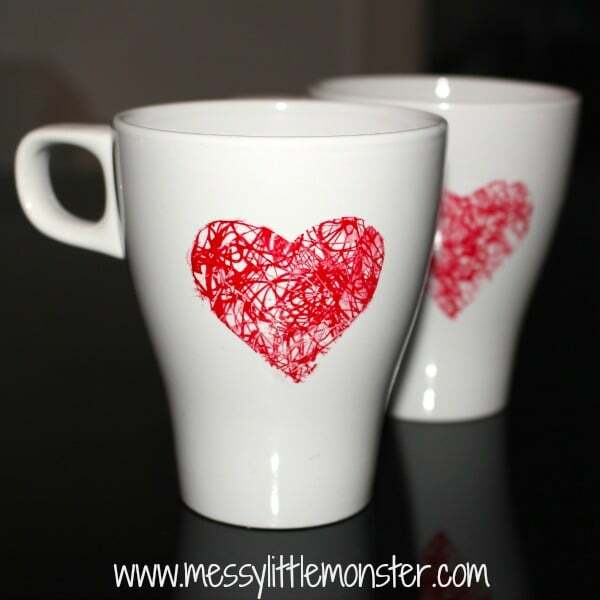 Make some heart scribble mugs to give as gifts. 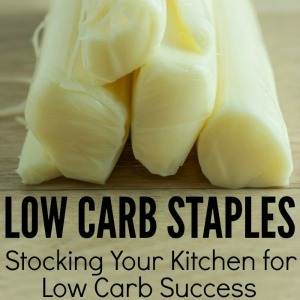 They’re perfect for Mom, Dad, grandparents or friends. 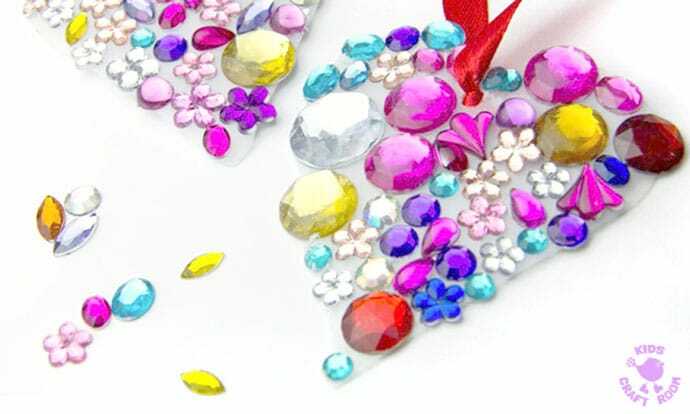 These jeweled heart suncatchers are gorgeous! 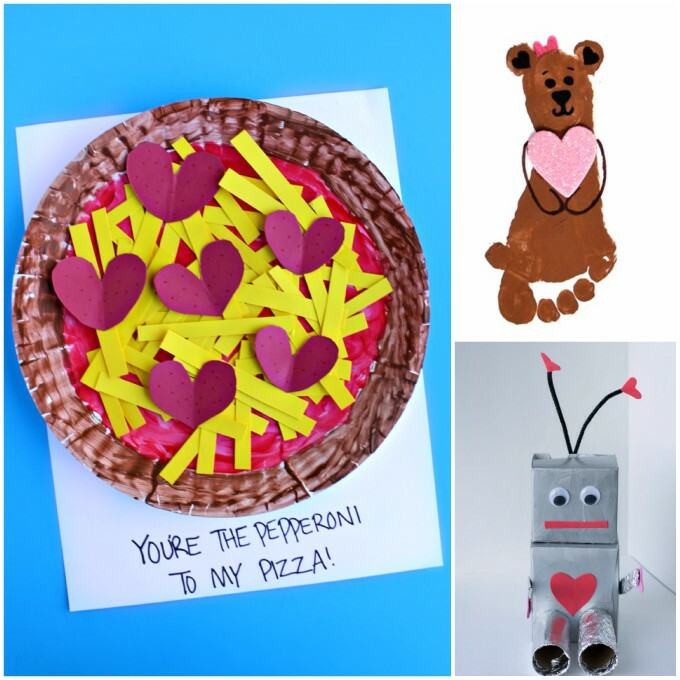 Perhaps you could create a Valentine’s tree to hang them on. 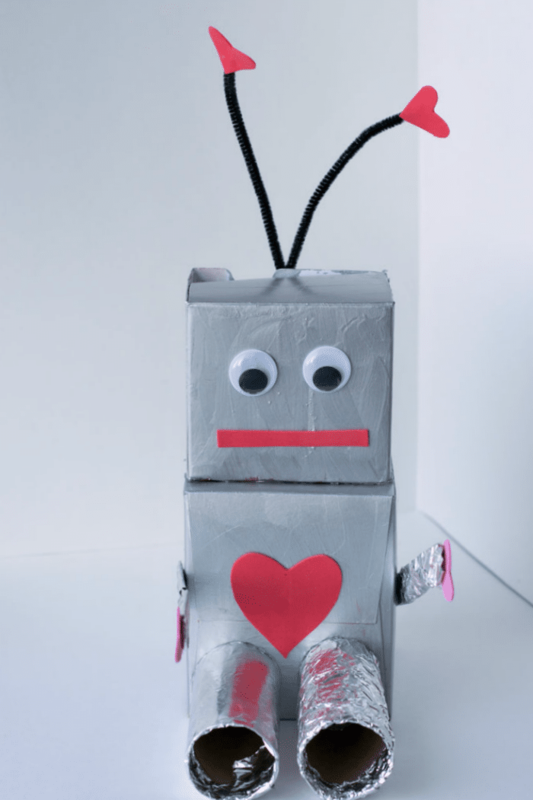 For kids who love robots, this Lovebot valentine box is so much fun. Our son kept his for months in his room after Valentine’s Day… he loved it that much. 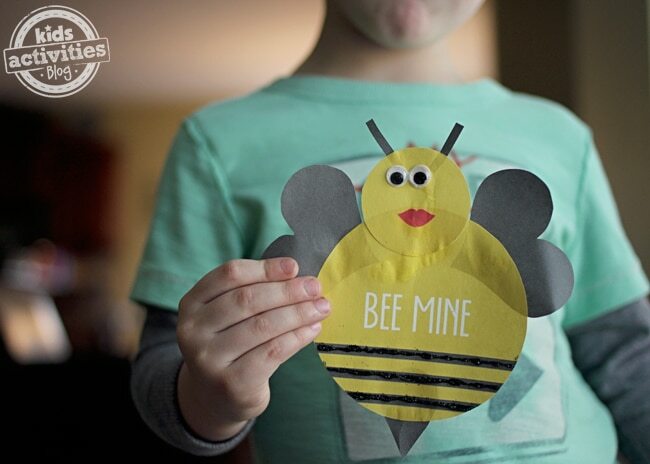 Bee mine! Who could resist such a sweet sentiment? 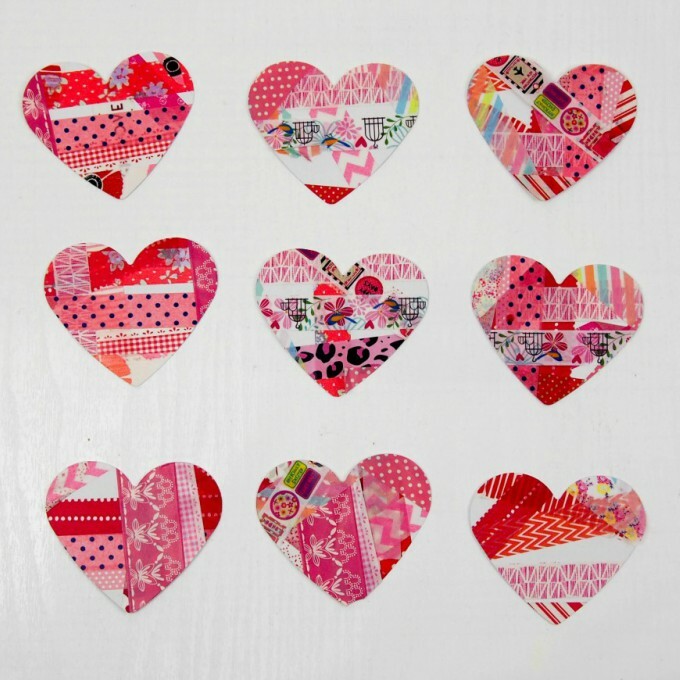 Washi tape hearts are simple and fun for even the littlest of kiddos. 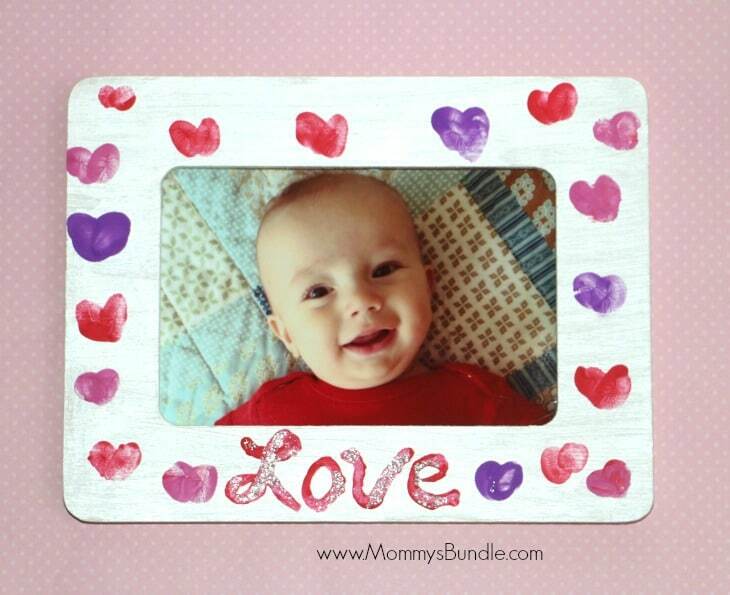 Make a sweet little fingerprint heart frame for the grandparents. Aww! 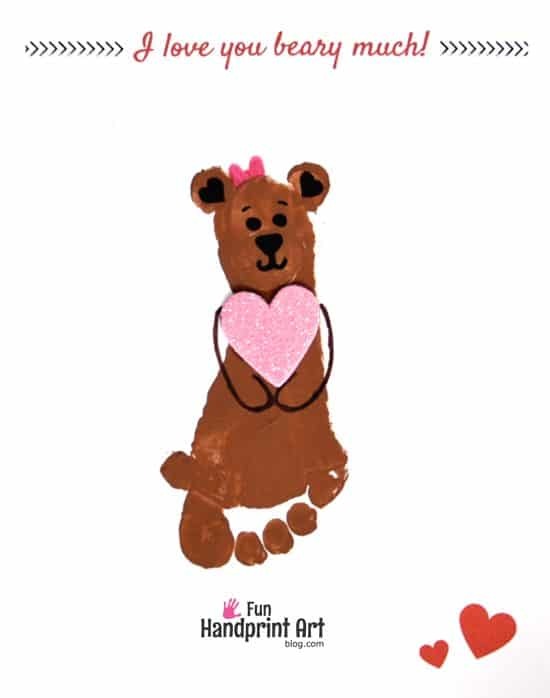 Who wouldn’t love receiving this adorable “I love you bear-y much” footprint card? 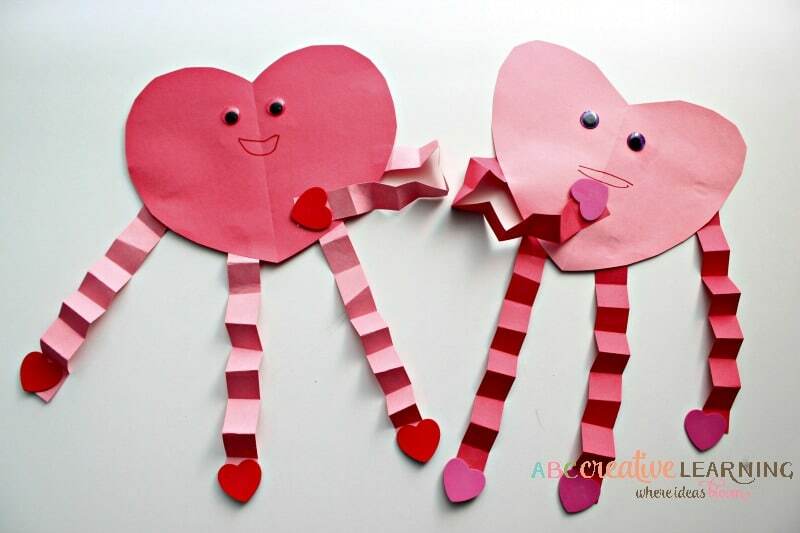 The kids will have so much fun with this bouncy heart craft. 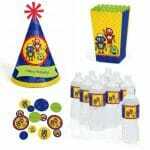 You can even add craft sticks to the back to turn them into fun puppets! 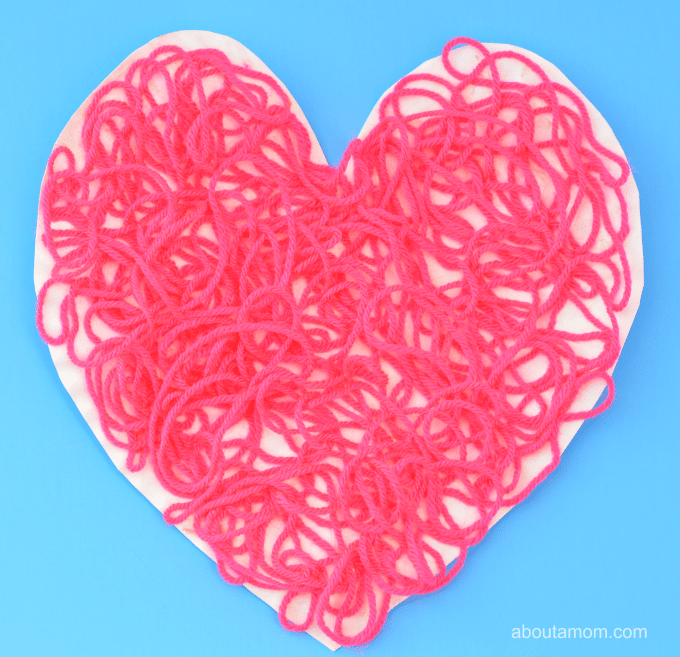 A paper plate, a bit of glue and some yarn are all you need to make this lovely yarn heart. Wouldn’t it be pretty with different colored yarns, too? 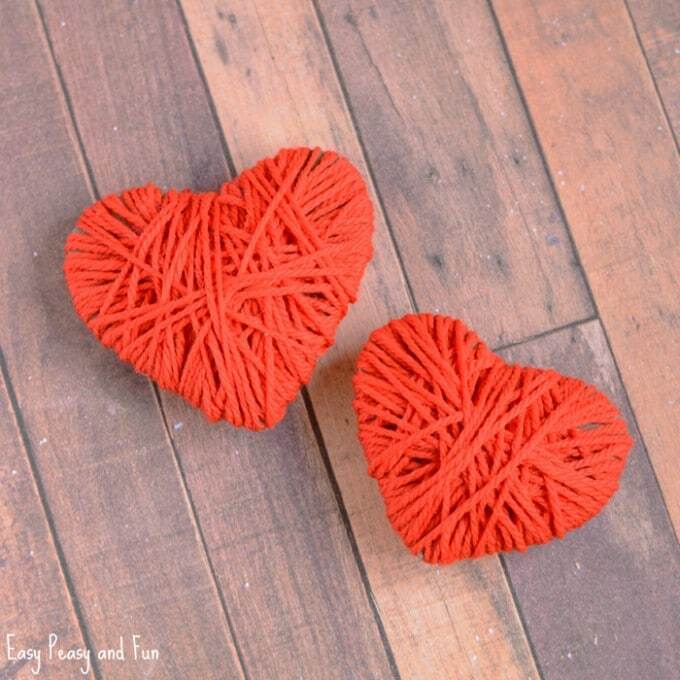 Speaking of yarn, make these yarn-wrapped hearts to give your little ones some fun fine motor practice. 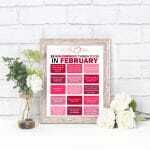 Use cupcake liners to create a Valentine’s Day banner for your mantle or doorway. 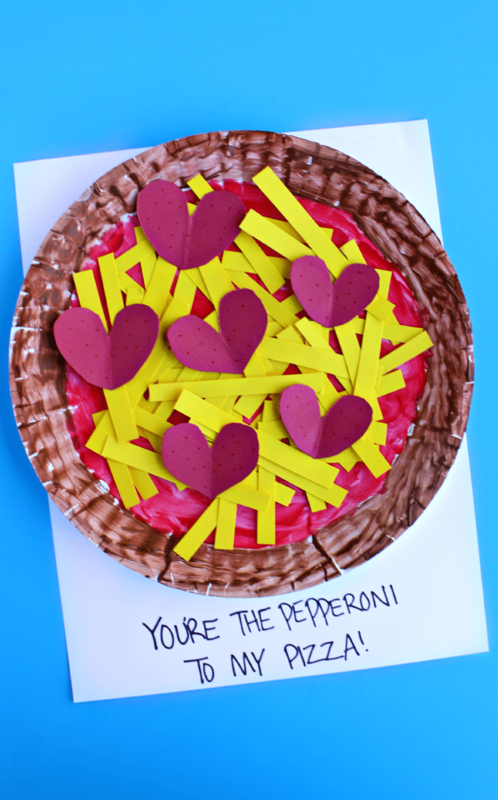 The kids are sure to get a laugh out of this paper plate pizza Valentine’s Day craft.